Instead of government closer to citizens, municipalities are increasingly becoming institutions operating only for administration’s salaries. The investigation by SCOOP Macedonia shows that the increase in the number of employees before each cycle of local elections has led to a situation where more municipalities encash taxes and generate income only for employees’ salaries. Very few funds remain for paving streets, maintaining parks, schools or other areas important to the citizens. Amazing 71% of the budget of the Municipality of Dolneni is spent on administration’s salaries. The payroll of this small Pelagonija municipality covers 31 people, of which 27 for an indefinite period of time and 4 for a definite period of time. We tried to get in touch with the mayor Boshe Miloshevski on how the municipality persists in these circumstances, but he was not available on his mobile and no one answered the cabinet phone. Next on the list of most stuck municipalities is Lozovo. The municipality spends 50% of its own budget on salaries. Mayor Orce Cvetkovski stresses that it is difficult to manage a municipality where salaries are the largest item in the budget. “The budget here is just to give salaries and to prepare technical documentation for an infrastructure facility. For the realization of that facility we have no money. Therefore the government helps. In my municipality they have asphalted two streets with a length of 1 kilometer in recent years since I became a mayor. Now we got one million denars (about 16,000 Euros) for technical documentation”, says Cvetkovski. He adds that although the item for salaries is big, it is still good that around two and a half thousand people from the surrounding villages have municipal administration and do not have to go to Sveti Nikole. Mayor of Kriva Palanka Arsencho Aleksovski has a similar problem as Cvetkovski. Since 2009, when he came to power, he has been forced to cut its staff by about 20%. “When I became a mayor of about 80 employees, I reduced the number by 18 people employed by the previous government. But to work effectively, the municipality had to hire a few more people and now the municipality has 64 employees. It is hard to operate in a municipality where half of the budget goes for salaries”, says Aleksovski. He adds that it is a happy circumstance for Kriva Palanka that it is a border municipality and they use money from European funds for cooperation with partners from the Republic of Bulgaria. Advantage is that they take money from the concession of mineral raw materials from the mine Toranica. Next on the list is Tetovo where about 42% of the budget goes to salaries. Mayor Teuta Arifi did not respond to our request for a statement. The citizens of this town complain that because of overstaffing, the municipality cannot provide services to citizens. “Everything they collect in the budget is spent on salaries. Any mayor who comes only employs people in administration. The streets are very bad, this winter it snowed and all Tetovo and beyond was blocked, there was no money to clean the city”, says 45-year-old Jovan from Tetovo. The state puts small rural municipalities in the same basket with the large powerful Skopje municipalities. With each new law it prescribes new duties to fulfill new obligations for employment, complains a mayor from the ruling party in eastern Macedonia that wished to remain anonymous. 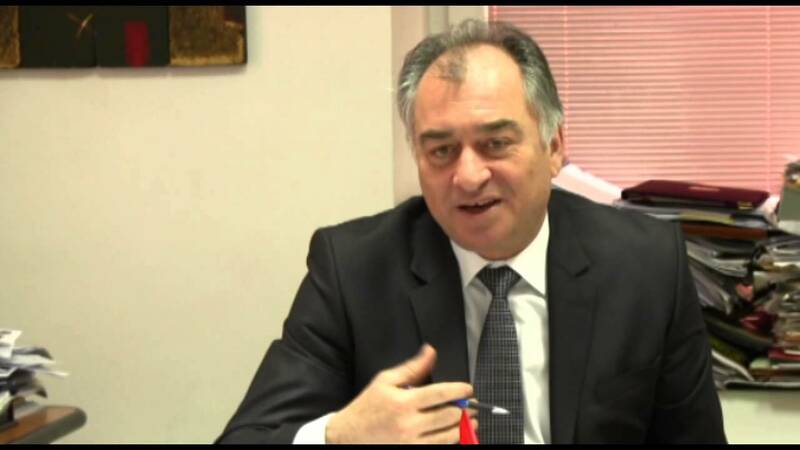 “Macedonia has a wrong system of municipalities. A Skopje municipality with 60,000 inhabitants and my municipality with 7-8,000 inhabitants are equal before the law. We need to have a municipal inspector and in Skopje they should have a municipal inspector and another question is how much work the communal inspector has in Skopje, and how much in my municipality”, he says. Under law, he says that as a municipality they are forced to have some jobs although realistically there is insufficient workload for that employee. “A typical example is the job position Head of Internal Audit. For a municipality with a budget of 200-300,000 Euros and a municipality with a budget of 2-3 million Euros the scope is different, but legally you must hire someone there. Macedonia reflects the political part of filling municipal administration”, says our source, adding that the law overburdens with administration although there is no need for them. Arian Ibrahim, mayor of municipality Centar Zhupa, complains about similar problems. “I would not need a typical accountant to book 1 statement a day”, he says and adds that “to such a person, it is illegal to give additional obligations or give addition to the job position”. “A typical accountant for a statement with 5 transfer order has 15 minutes effective working time a day. For this accountant they must hire an authorized auditor so there must be a tax office and at least two employees”, says Ibrahim. He says that due to these legal obligations, in the end, when you see those employees, only in finance there is a need for only 7-8 people under systematization. Ibrahim complains that it is very difficult to manage an overstaffed municipality when there is no income. “I found systematization in such municipality with 65 employees. The man who made this systematization is now a judge in the Appellate Court. I asked him what basis he made this systematization upon. He was a lawyer and he said that according to this law he was forced to hire, under another law forced to hire, third law persuades you to hire and so there are 65 people. He justified up to 70% of the jobs to be legally provided. And therefore many municipalities in the country are stuck in debts”, says Ibrahim. The situation is similar in Municipality of Krivogastani. “Of 70 job positions, as provided for in systematization for Municipality of Krivogastani, we have employed only 30%. 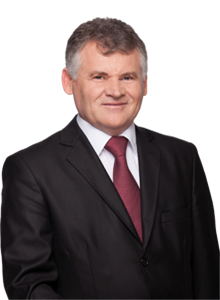 We hire according to our financial capabilities”, says Toni Zatkoski, mayor of Krivogastani.